Happy last day of 2012 everyone! Like many music nerds I used to make a top ten list of the new albums I had bought, and loved, each year. I’ve majorly backed off on buying albums and also lived under a music rock for quite some time. However, thanks to some good friends who clued me back into music and to services like Spotify (controversial, I know, but great for discovering new music), as well as going to big music events like South by South West and CMJ I feel like I’ve gotten back in the music game (and have bought albums, not just streamed them for free, thank you very much!). So here’s my top five songs, plus one bonus, that came out this year that have stuck with me. I love Tame Impala’s fuzzed out pop. It’s catchy, it’s trippy and I feel like I can listen to it forever. 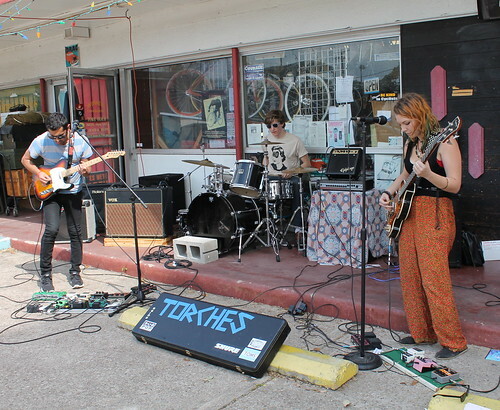 My favorite musical discovery this year: great songs, great people and a great future ahead for Torches. And a great video. I’ll be honest that this video is hard for me to watch, especially as someone who used to work in violence prevention. But! Alt-J (∆) is a fantastic band and this song has been on repeat since I first heard it. I realize I’m cheating a little bit on the Local Natives – their album Hummingbird, which features “Breakers,” comes out in January of 2013 and I’ve already pre-ordered my copy, but this single came out this year and it’s fabulous. Grimes is wonderful and weird. It kind of irks me she’s become somewhat of a fashion icon (she’s featured in Vogue every month it seems), but good for her. She must have a good agent. I still like her music though. Wild Nothing sounds like a wander through all my top 80’s bands. And as a travel junkie I appreciate this video. Also, based on Flavorpill’s annual stereotyping of people based on their favorite record of the year I am either: a boring English dude (Alt-J), a shaggy haired dude who stands in front of you at shows (Tame Impala), or a girl who updates her Tumblr several times an hour (Grimes). Have a safe and happy new years, everyone! Can you believe I’m still talking about SXSW? It was nary a month ago and I still find myself with so much to say about those magical few days in Austin. I saw shows in parking lots and fields, bars and backyards and it all flowed together into a party that I didn’t want to end. 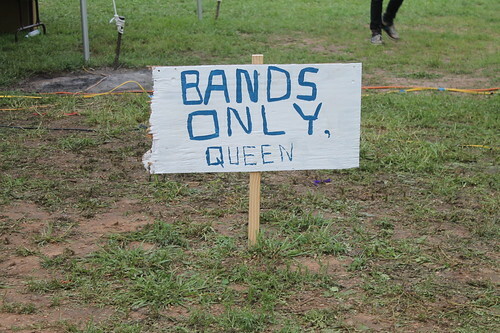 There were so many fantastic bands and musicians at the event (in fact, over 6,000 of them by one estimate, counting official and unofficial shows, though I’ve also hear over 2,000… anyway, a lot! 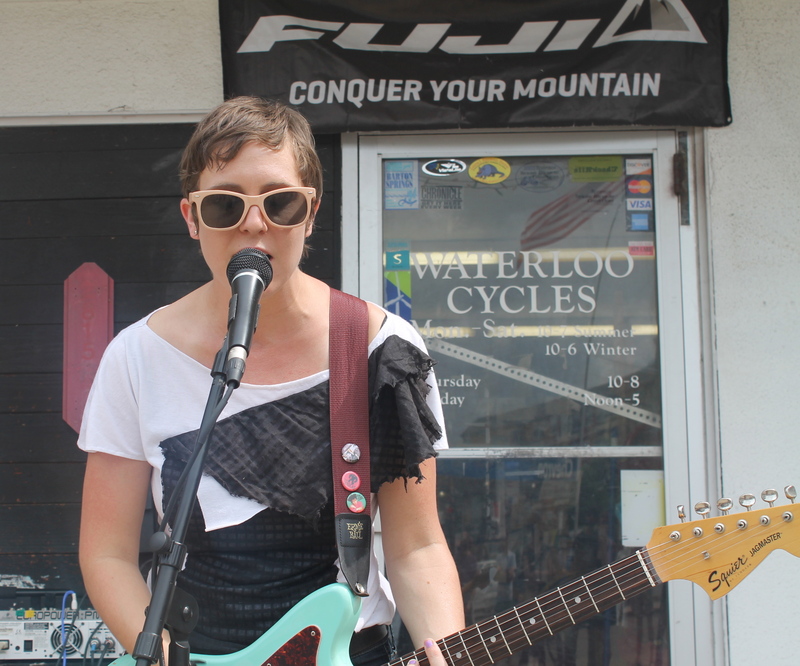 ), but the best thing about South by for me was not running around trying to see the latest hype darlings, but stumbling upon bands that took me by surprise. In New York I rarely have the time to seek out new music, so shows that I do catch are carefully planned. It was nice to be in a place where the music came to me by virtue of being in the right place at the right time. Torches in Trees are my big South by discovery. A three-piece psychedelic band from Los Angeles made up of three dedicated kids who drove from LA to Austin straight (that’s about 24 hours, maybe more). Their music shimmers, shines and pulled me in, making me dream of California nights, even though I watched them perform in a dusty Texas parking lot. River City Tanlines Fronted by the talented Alicja Trout, River City Tanlines is dirty, garagy American rock’n’roll from Memphis that goes straight for the jugular. Alicja and bassist Terrence each had three amps, if that gives you any idea. 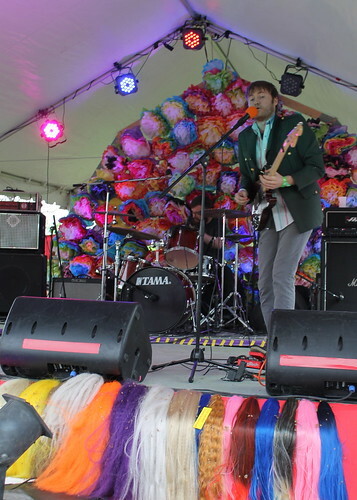 Dead Ships are a two-piece garage rock band from LA that tore up the stage at the Gay Bi Gay Gay festival on the last day of South by with a lot of swagger and a little jangle. It takes more than you think to rock a field of queers in the middle of the afternoon after days of partying, but the Dead Ships pulled it off. 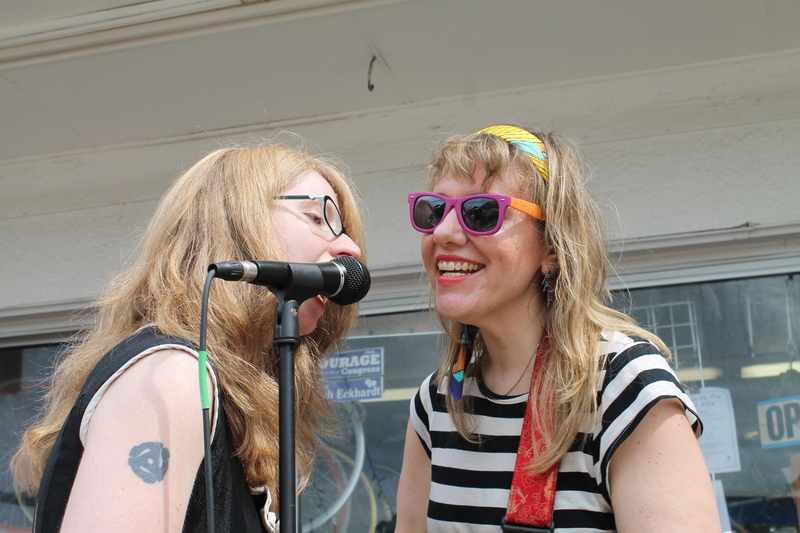 Break It Up are a Philly trio of two ladies and a nice guy with great post-punk guitar melodies and jagged crunch, as well as catch bass lines and punchy, blended vocals. 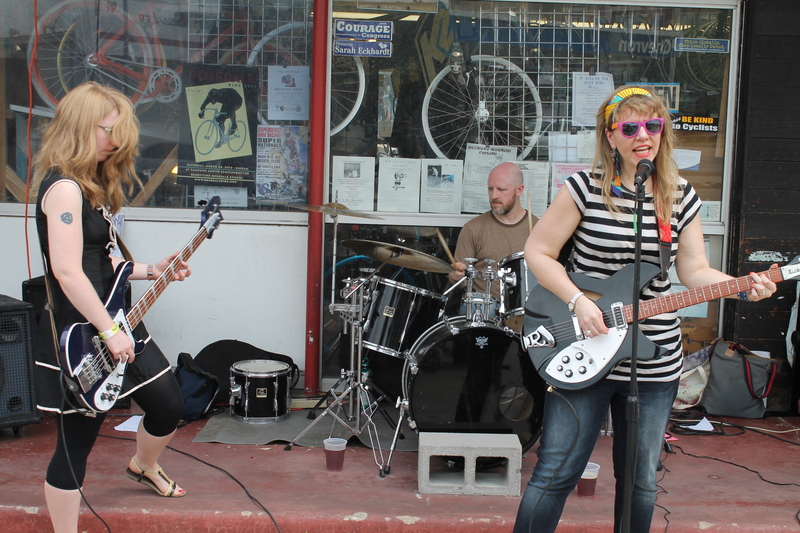 James Arthur’s Manhunt was one of a slew of boozy, crazy garage rock bands we saw on Saturday night at Trailer Space records. 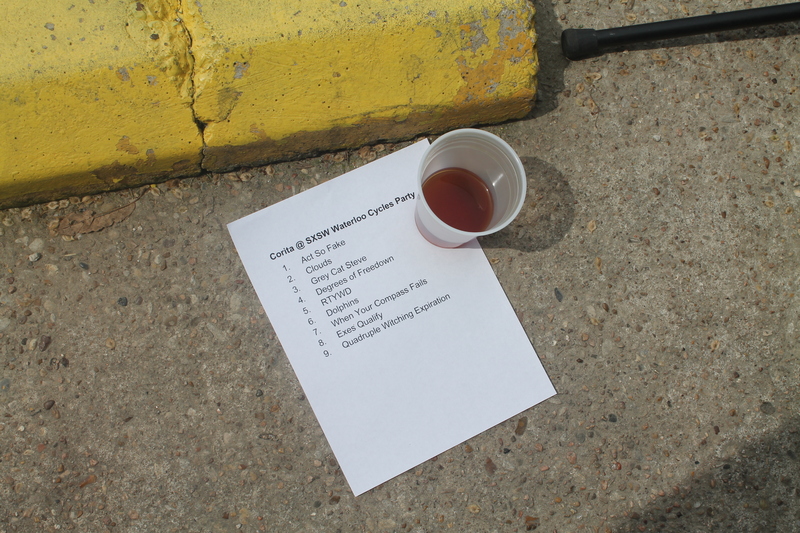 Guitars were flung, 7″ records were tossed like frisbees, amps and drums were broken, pedals were stomped on, everyone had a great time, and somehow, no one called the cops. Christeene is not a band, per se, but Austin’s premiere drag performer, complete with bearish backup dancers in panda masks. Everyone I talked to, both Austinite and visitor, asked me, “Have you seen Christeene?” and thankfully, on my last day in Austin at Gay Bi Gay Gay I did. Aggressive beats, limit pushing choreography and lewd lyrics that get lodged in your brain. Seeing Christeen perform really made my weekend. I am dreaming of a Christeene meets Cheryl performance someday. That would make all of my party/performance art dreams come true. 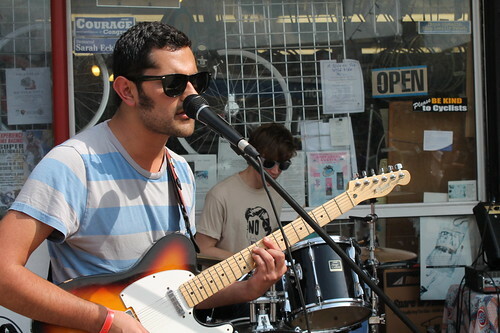 There’s more photos of bands, and Austin during SXSW in general, in a set on Flickr. I am still in a bit of a time warp and there’s so much to stay about my first time at South by Southwest (or SXSW). The days passed like blurs and I tried to absorb as much as I could of the frenetic atmosphere around me. I’ve garnered enough material for several blog posts, but first and foremost I wanted to share these photos taken by A.’s friend JC of Corita’s shows. It was our first time playing out of New York State (in fact our first time playing outside of Manhattan or Brooklyn), our first time playing out of doors, and my first time playing with sunglasses (it’s bright when you play outside in the afternoon). South by was magical because people who did not know us, who actually cared about seeing music, saw and liked our band and told us so. Does that ever happen in New York? Rarely. 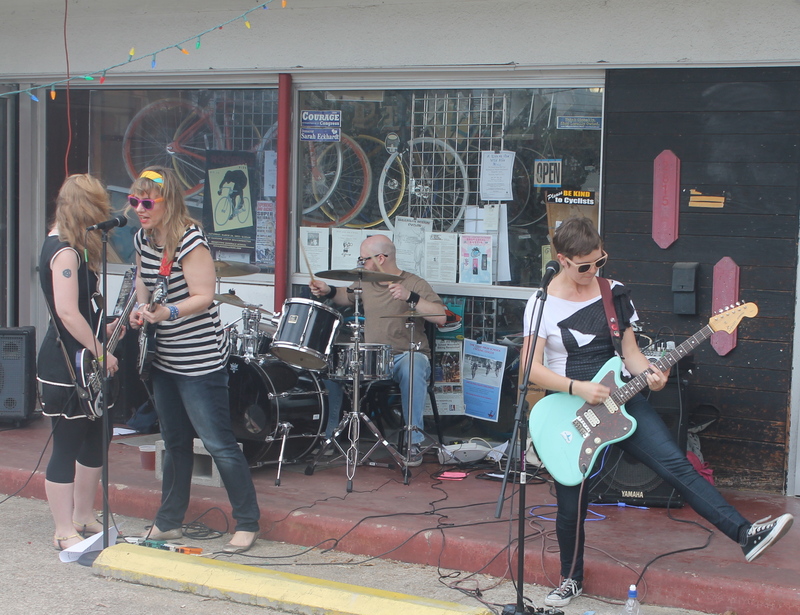 Thank you again to Austin Girls Rock Camp and Waterloo Cycles for hosting us. 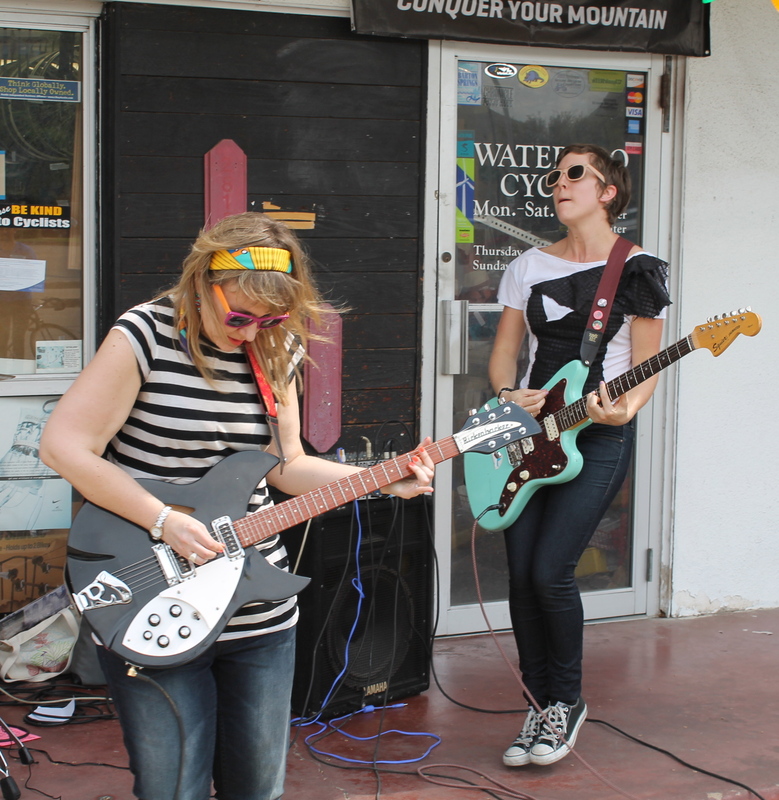 It was refreshing to play like minded-venues with like-mined bands and we loved being outside with the wind in our hair! There’s a set on Flickr and more blog entries about all my reflections and musical discoveries coming soon.